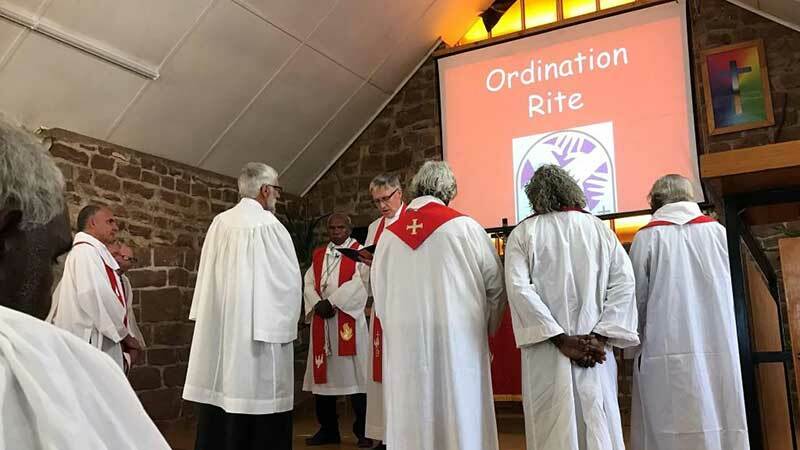 Sunday 27 August 2017 was a very happy day for Hermannsburg, visitors and family who gathered to witness the ordination of Ingkaarta Neville Doecke. 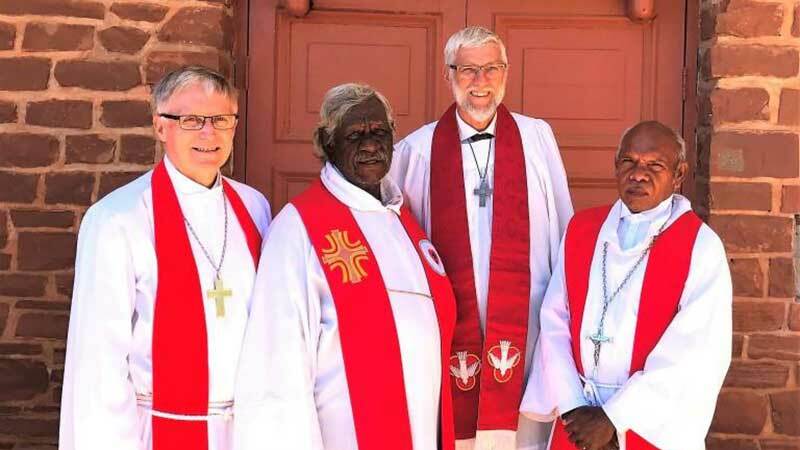 Bishop John Henderson officiated and fellow pastors Marcus Wheeler and Rodney Malbunka led the service in Western Arrarnta. 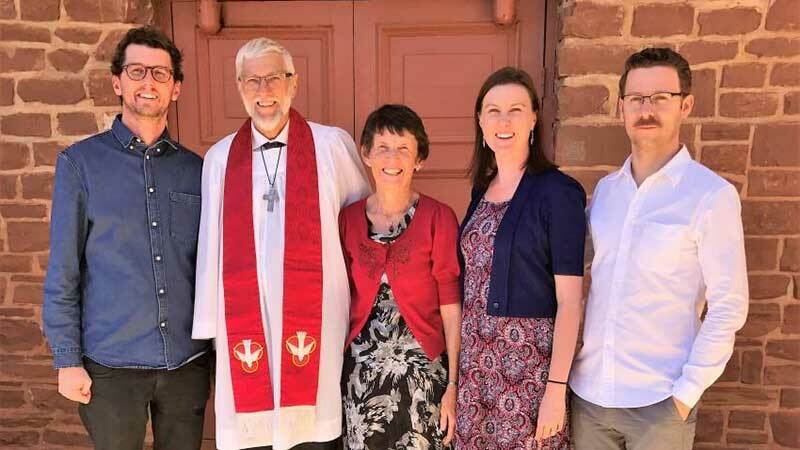 Fellow Finke River Mission pastoral support workers, pastors and evangelists all laid hands on Neville, who has been the Arrarnta Pastoral Support Worker since November 2015. The Ntaria choir enriched the service with harmonious hymn-singing and Neville’s son and daughter (Timothy & Melissa) gave a musical rendition of ‘Jesus Shepherd Be Thou Near Me’ as a prayer. Neville believes that ‘God really works in amazing ways!’ As a young person he always wanted to be a pastor. However, God first used a lifetime of teaching in Lutheran schools to prepare and train him for the ministry. It was also wonderful that Neville’s 88-year-old mother, Gladys Doecke, could be present to celebrate the occasion. 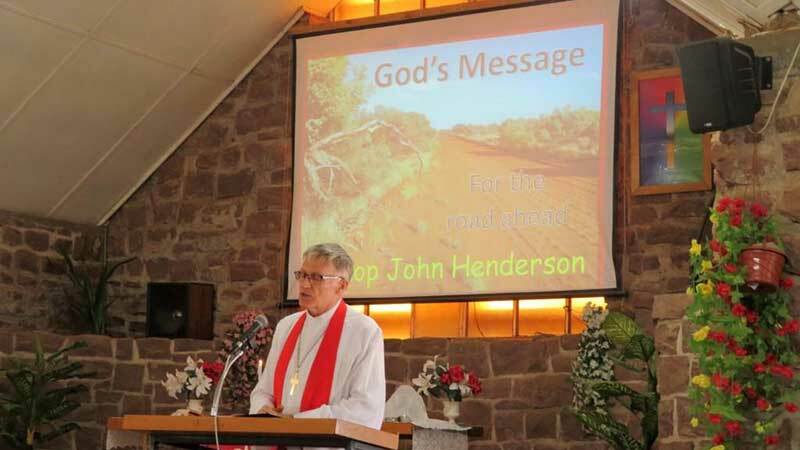 May God bless Neville as he continues his ministry in the centre.